Mercedes plans to spend $1 billion to upgrade its U.S. plant in Alabama. FRANKFURT -- Daimler will start building a battery plant as part of its planned $1 billion investment to upgrade its factory in Tuscaloosa, Alabama. The investment comes as Daimler brand Mercedes-Benz prepares to launch the electric EQC SUV, as part of a broader assault on a sector currently dominated by Tesla. By 2022, the company plans to electrify its entire passenger vehicle lineup, offering more than 50 battery-electrics, plug-in hybrids and 48-volt mild hybrids in all sizes and segments. The EQC will come off the line in Bremen, Germany, in 2019. Mercedes is preparing six factories to produce EQ electrified vehicles, and eight plants to manufacture batteries as it makes the shift to electrification. Daimler said its plant in Sindelfingen, Germany, will be the center of competence for building autonomous and electric cars. 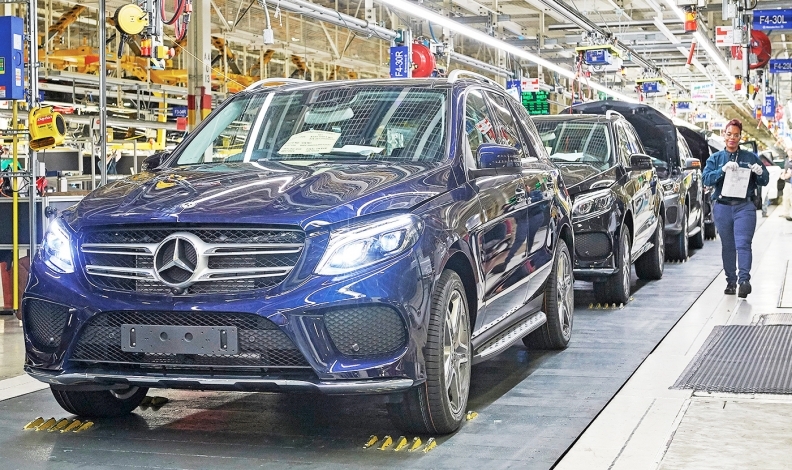 Sindelfingen currently makes the Mercedes S-class, CLS, GLA and E-class models alongside the Mercedes-AMG GT family, according to Automotive News Europe assembly plant map.